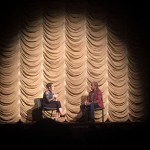 FilmIndependent.org - “When I first read the script, I thought it was just hilarious,” said Kristen Stewart at last Friday’s Film Independent at LACMA screening of Olivier Assayas’ Clouds of Sils Maria. The film follows Maria, an aging international film star—played by Juliette Binoche—who must return to the play that launched her career 20 years prior. This time, however, she’ll take on the role of the aging actress while a hot young Hollywood starlet, with the paparazzi at her heels, will play the part that made her a star. But in the film, Stewart doesn’t play the young star with the tabloids chasing her. (That would be Chloë Grace Moretz.) Instead, Stewart plays Valentine, Maria’s dedicated personal assistant. 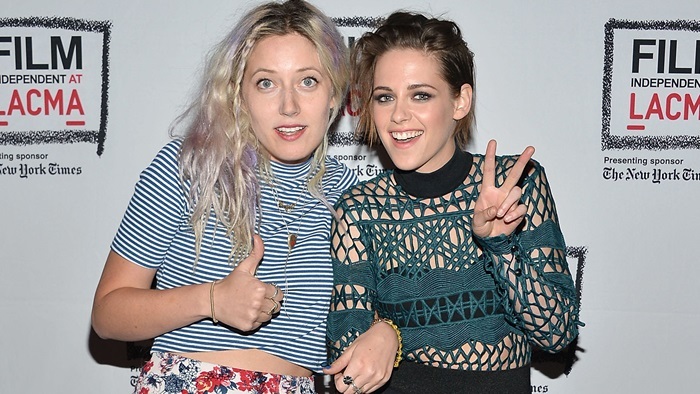 The role also allowed Stewart to offer commentary on her own celebrity. Throughout the film, Stewart gives Binoche updates on Moretz’s tabloid exploits. At one point, she even argues for why the scandal-plagued star matters as an artist, even though she’s making serialized Hollywood blockbusters aimed at pre-teens. Stewart said the immediacy of her approach came into play in working with Binoche. “Is that because you want to save something for the floor and if you rehearse it too much, there’s nothing left?” asked Film Independent Curator Elvis Mitchell. Mitchell asked if the actress’ inclination toward doing it once and making it real has ever led her to think about theater. In response, Stewart just looked out to the audience with a sardonic expression on her face. The room burst into laughter. In response, Mitchell hung his head and let his microphone slip to the ground. And in her film career—which has already spanned more than 15 years—Stewart said she’s finding herself increasingly drawn to smaller movies made by inspired filmmakers. For her upcoming projects she’ll work with such established names as Ang Lee, Kelly Reichardt and Woody Allen, as well as rising talents like Neimah Nourizadeh and Drake Doremus. RT @robkris13 Elvis asked if she's ever do theatre. she gave the audience a deadpan look & then said "dude no, Im from LA! we dont appreciate it like NYC". She said doing theatre would mean doing many performances and she didnt think she could keep it fresh doing it over and over. She said that's why she loved doing movies...one performance and it would always be fresh. Kristen said the movie was very true to the CoSM script...doesnt happen very often when a movie was being filmed. Kristen talked abt how women including Jodie Foster, Julianne, Juliette, Joan Jett had influenced her career in a postive way. She and Julianne share the trait of not wanting to rehearse before doing a movie but Juliette on the other hand loves to rehearse. Kristen said she and Juliette were perfectly cast for their roles in CoSM because they were similiar to their characters. She said Juliette is like Maria because she doesnt want to hurt anyone but "I'm like Val because I want you to hurt, feel what Im saying." Kristen wore a Self-Portrait Fall 2015 jumpsuit with Louboutin heels.